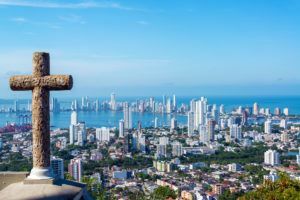 Canadian companies hope to cultivate a medical marijuana juggernaut in Colombia by combining Toronto’s capital and technological expertise with the Latin American nation’s favorable climate and location. Industry executives said they plan to use Colombia as a springboard to serve Latin America’s 400-plus million people who live in nations where some form of marijuana is legal. Ultimately, these same executives want to make Latin America a staging area to deliver medical cannabis extracts around the globe. “Latin America as an entire region might be the best opportunity in the world right now, and Colombia can dominate starting in 2018,” said Alvaro Torres, CEO and co-founder of Toronto-based Khiron. Two of the Canadian companies that have staked out Colombia – Khiron and PharmaCielo – are based in Canada. Another company, CannaVida, is based in Colombia but stacked with a Canadian executive team. PharmaCielo and Khiron together have raised 40 million Canadian dollars ($31 million) and plan this month to begin cultivation at their sites, which combined total 1.7 million square feet. When high-THC medical cannabis becomes available nationwide next year in Colombia, the country is poised to become the second-largest federally regulated MMJ market in the world – behind Germany. Industry sources estimate its potential market at 3 million-6 million patients. Colombia has been considered ripe for business since President Juan Manuel Santos signed a decree to legalize and regulate MMJ in late 2015. But it wasn’t until June 2016 that Congress approved a law to formally legalize it, and the first companies weren’t fully licensed to begin cultivation of high-THC extracts until October 2017. The 2016 law allows a doctor to prescribe high-THC products for any medical condition. Medical marijuana can be sold only in extract form; flower sales aren’t allowed. All extracts have must be made in specially certified labs. Non-psychoactive MMJ products – defined in Colombia as under 1% THC – can be sold over the counter in pharmacies. Colombia will not require MMJ patients to register with a producer or the government. The Ministry of Justice will issue MMJ businesses two types of cultivation licenses, one for psychoactive plants and another for non-psychoactive product. The Ministry of Health and INVIMA – Colombia’s equivalent to the U.S. Food and Drug Administration – will issue a license that permits MMJ distribution. The health ministry will issue a license that allows for the fabrication of extracts for domestic use, export and research. PharmaCielo, headquartered in Toronto, envisions Colombia being the world’s top producer of medical marijuana oil. Using Toronto as its international base, the company plans to produce a large amount of organic MMJ oil in Colombia for international distribution, ultimately targeting around two dozen countries. PharmaCielo has production planned in phases. Under the first phase, it will start production at its 1.3-million-square-foot space this month. That phase will have the capacity to produce up to 250,000 kilograms of flower annually. The next phase sees PharmaCielo creating a production plan for indigenous growers that involves a total of 10 acres in southwestern Colombia. Production is expected to start in the second half of 2018. Based in Barichara, Colombia, CannaVida also has its eyes set on the world, targeting Canada, Germany, Poland, Italy, Argentina, Peru and Colombia. “Canada’s medical cannabis market, in particular, is growing at a rapid pace with medical demand set to outstrip supply as the Canadian government prepares to legalize cannabis for recreational purposes,” said CEO Ron Marzel. In Colombia, construction has started on the company’s initial 300,000-square-foot cultivation space, which it hopes to have producing within 12 months. The company estimates its annual production capacity of 24,000 kilograms of dried flower will produce 3,000 kilograms of cannabis oil. Half a dozen countries in Latin America representing roughly 440 million people have legalized medical or recreational marijuana, or are headed down that path. Argentina and Peru approved medical marijuana this year. Brazil’s health regulator handed out the nation’s first license for the sale of a cannabis-based drug in January, and Mexico approved low-THC medical cannabis. Chile, meanwhile, was one of the first countries in the region to authorize the sale of cannabis-derived medicines, and Uruguay kicked off recreational marijuana sales earlier this year. MMJ producers in Colombia are hoping to get an early mover advantage. Khiron aims to start cultivation for high- and low-THC products by the end of November and to sell its first extract by the third quarter of next year. The company is focusing on meeting demand in Colombia and exporting extracts for the next two years to Latin America, after which it aims to launch localized production in those countries. The first phase of Khiron’s plan involves cultivating 480,000 square feet of space over the next two years – mostly for the local market- and producing 30,000 kilograms of dried product annually. The second phase, involving 1 million square feet and starting in 2020, targets 100,000 kilograms annually. “We see an opportunity to disrupt the current medical market by being able to offer a high-quality medical cannabis in a region we believe is in need of affordable products,” said Khiron’s Torres.